A Whole Lotta Hoopla Giveaway!!! No doubt in my mind that custom designed Disney World merchandise is a big deal right now. People are taking to sites such as Etsy to purchase custom shirts, signs, bags and more with the likeness of their favorite Disney character and attractions! Well one such site that has really blown out of the water are my friends over at A Whole Lotta Hoopla! 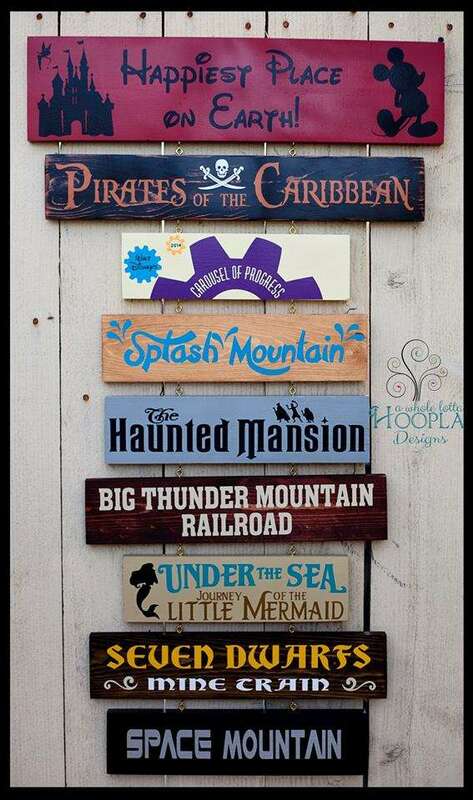 The folks over there are creating some amazing Disney World and Disneyland signs and more to sell! This site has one of the hottest custom signs right now with orders being backed up for months! Amy and her team are creating some amazing signs that feature your favorite Disney World attractions, shows, restaurants, resorts and more!!! 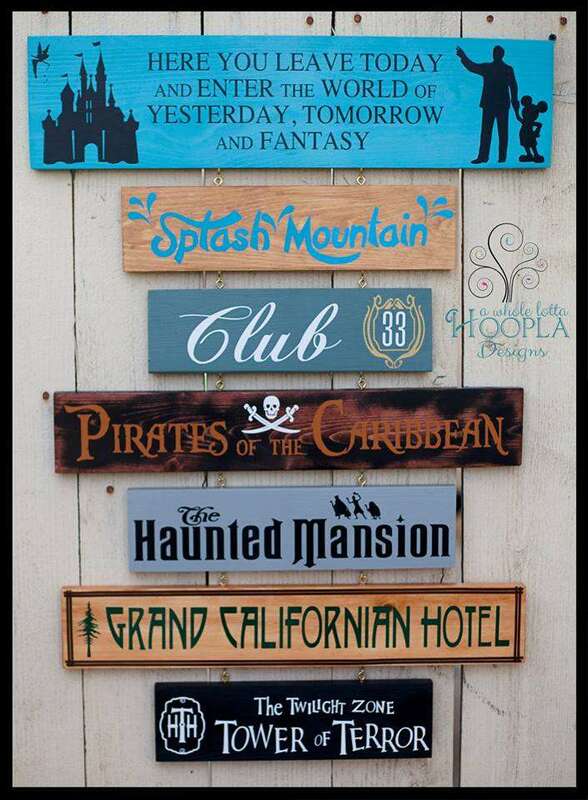 They also do signs for DVC, Disney Cruise Line, Disneyland and more! As you can see from the picture above, these signs are amazing and have great detail! Signs come with a topper and either 5 or 8 attractions to go below it. They can even customize your sign to have your family name on top! I ordered a sign from Amy and cannot wait to get it in! I have some of my favorite attractions on it such as Toy Story Mania, People Mover, Tiki Room and more!! Amy was so nice to donate another sign for my readers! 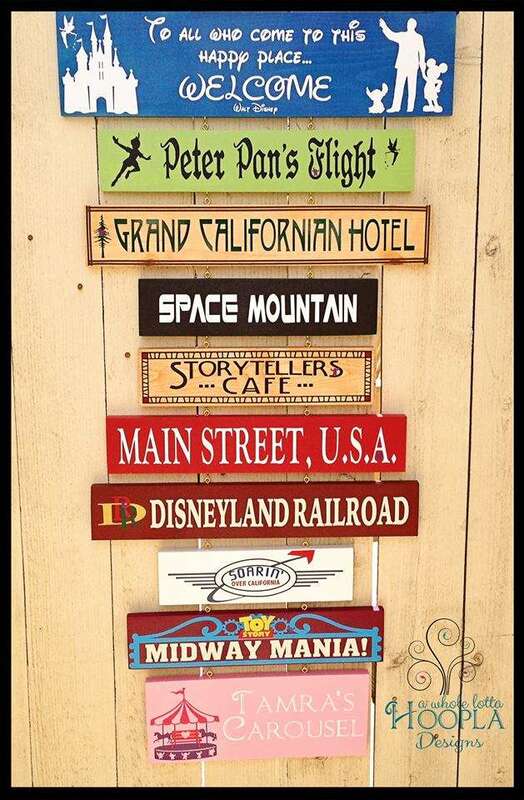 Amy will be giving away a custom sign with 8 attractions to one of my readers!!! Make sure you maximize your chances to win by sharing the giveaway with your friends and family and having them enter as well!! Previous Post What’s New Around The Mouse? Walt Disney World News! Next Post Discovery Cove Specials on Valentine’s Day!